Today I would like to introduce to you another new favourite author of mine: Lori Austin who pens the Once Upon a Time in the West Series! You might know Lori and her books, which she writes under her other penname as Lori Handeland, and trust me her historical Western romances are a must read as well! 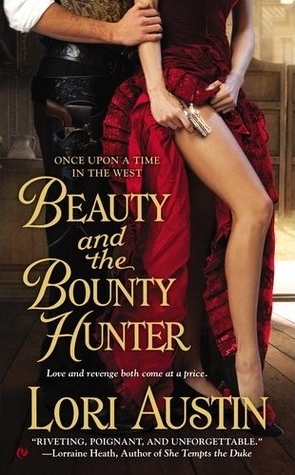 I LOVED Beauty and the Bounty Hunter, which was one of my favourite reads of 2012 (read my review to see why)! So please give a warm welcome to Lori, and pick up her Western HR series, I'm sure you'll love it! I'm not much of a Christmas person. I do like to look at lights but I don't want to be the one who puts them up. I especially don't want to be the one who takes them down, and I know from experience that I will be that person. Same goes for a Christmas tree. I stopped getting Christmas trees several years ago. I had told my kids that there would be no tree because I did not have time to decorate or undecorate. They swore they would do it all. So I caved. I bought a tree. They asked me to put on the lights since they did not know how. (No kidding.) I did. I set the ornament boxes next to the tree and walked away. A month later, I put away the unopened ornament boxes, yanked the lights off the tree and dragged it away. We have not had a tree since. Until I saw the most beautiful tree in the world. Tall and skinny, I knew it would fit right in an unused corner of my very small house. I would only need one string of lights and a very small box of ornaments. I could even have the classy white and gold color scheme I've always dreamed of but never bothered with since I didn't want to buy a ton of new decorations. Here is my beautiful tree. 10 minutes to decorate and voila! I love it! Now I will toss some tinsel over the mantel, put up some battery operated candles and strategically place a few Christmas themed beanie babies and I will be done decorating for Christmas. How about you? Do you decorate for Christmas? Do you have a tree? Real or artificial? How big? What else do you do to prepare for the holiday season? On an orphan train from New York to Kansas, young Ruth Kelly falls in love with the boy who protects her from the others. Arrested at fifteen for stealing food, Noah Walker had never known anyone to see past his angry exterior, or show him such gentle kindness. Once they reach Kansas, they are sent away to their separate lives, with a promise to meet again—at the same train depot, on Christmas Eve. 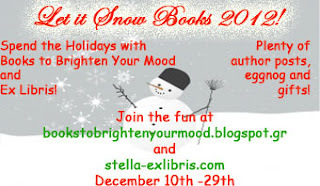 Lori has very generously offered an ebook copy of An Outlaw for Christmas to a lucky commenter!